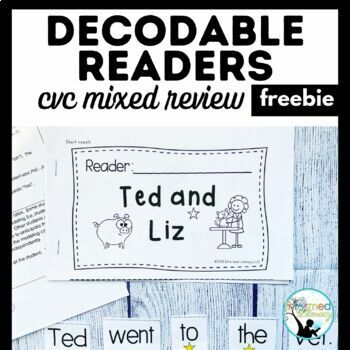 This field-tested decodable reader pack is a condensed version of our full decodable reader products. This product is much more than just an easy reader! It contains [an abridged version of] our detailed lesson plans that help emergent readers blend CVC words using a technique called successive blending. 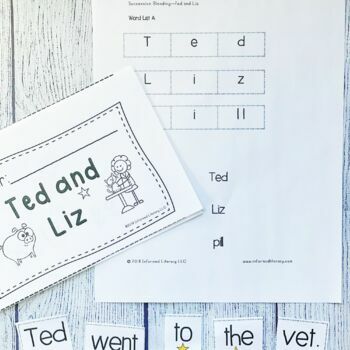 We also offer two “Sentence Scrambles”; an interactive component that develops print concepts and assists readers in distinguishing between high frequency words and decodable words. These carefully designed lessons and engaging materials help readers meet with success! This resource is perfect for guided reading instruction, strategy lessons, and/or reading intervention. Once the book has been introduced, students can also enjoy them during independent reading time!